Orlando Avenue Blog » Blog Archive Should You Use Your Home Equity? 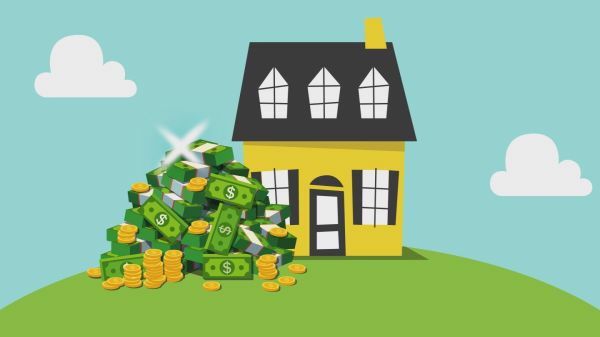 Should You Use Your Home Equity? Basically speaking, a home equity loan is a second mortgage on your home, which is used as collateral by the lender. The lender usually bases the loan amount on the difference between the homeowner’s equity and the home’s current market value. Investopedia can help you determine how much equity you have in your home. Most lenders allow homeowners to borrow up to 85% of the home’s total value, but only based on what portion you actually “own.” If you haven’t finished paying your original mortgage off, your equity will be less than someone who has paid off their home loan. A home equity loan will be paid as a lump sum and comes with a fixed interest rate. You will know how much you must pay every month, in addition to your current mortgage payment. Just like the initial purchase of the house, your credit needs to be in good standing, so have all your financial records in order when you meet with your lender. HELOC’s are a second mortgage as well, but instead of a lump sum, the homeowner typically has a five-to-ten-year “draw” period where they have access to the amount of the credit. During the draw period, some lenders allow interest-only payments on the amount, while some require principle-plus-interest payments. Either way, pay more than the minimum so the principal can be paid off before the repayment period. Once the draw period is over, repayment of what credit you have used will begin. Keep in mind that these payments will be higher than the earlier amounts you’ve been paying. Your line of credit can be used for anything, but if you’re thinking about an island getaway, or some other non-essential purchase, you are better off starting a savings fund. If you can’t meet the payments once the draw period is over, you could lose your home to foreclosure. In some cases, a lender will close your line of credit early if your circumstances change. If you’re using that money to pay your child’s college tuition, you’ll no longer have access to it, creating financial strain.